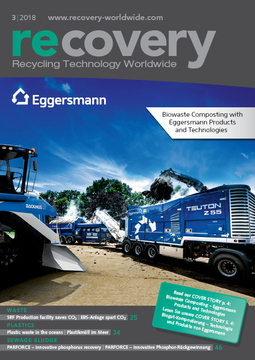 “We are glad to have scored another top reference in the Northern America plastic recycling market. 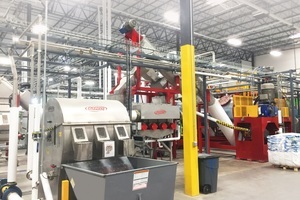 The CarbonLITE PET recycling project comes after the two mega PET recycling plants that AMUT supplied in North America to UNIFI in Reidsville/North Carolina, and to PETSTAR Coca-Cola Mexico,” stated Piergianni Milani, the President of AMUT GROUP. 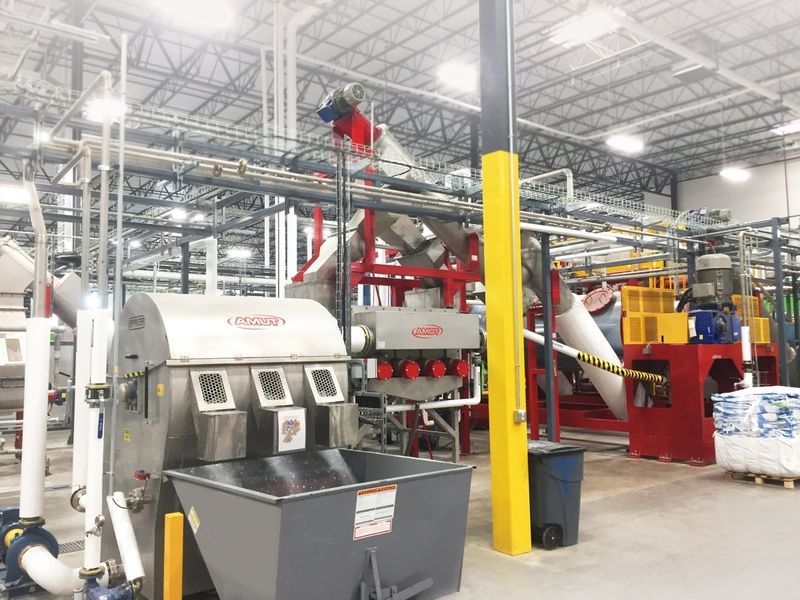 The new CarbonLITE recycling facility, located in Dallas/Texas, started operations in September 2017, as per the schedule. 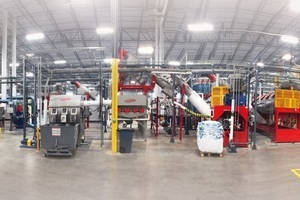 The washing line supplied by AMUT has the state of art of the technology and is the second plant of this size in operation in the USA, capable of producing over approx. 5433 kg (12 000 pounds) per hour of highest quality PET from MRF post-consumer bales. 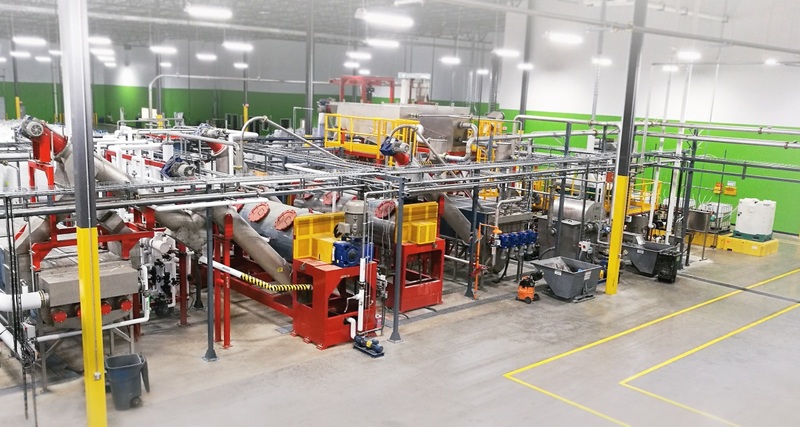 This 23 225.76 m² (250 000-square-foot) bottle-to-bottle PET recycling plant processes more than 100 million pounds plastic bottles annually and the AMUT washing section is capable of reaching 6 metric t/h and will double the company’s annual capacity of foodgrade PET. 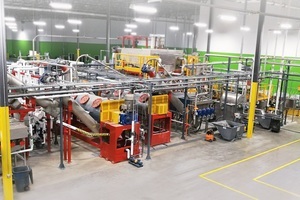 The recycling plant permits the transformation of old plastic bottles into PET resins, flakes and pellets that can then be used to produce new beverage bottles and other sustainable products. “Considering that AMUT is one of the major OEM supplier for their system, we integrated our De-Labeller AMUT’s patent technology and as well the wet whole bottle pre-wash,” stated Anthony Georges, President of AMUT NORTH AMERICA. He further discussed how the AMUT De-Labeller won the PLASTIC RECYCLING INNOVATION AWARD from the APR (Association of Plastic Recyclers) in 2017. 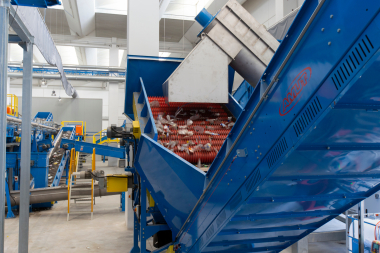 Anthony Georges continued: “When you are dealing with co-mingled MRF bottle bales you need to be able to detect and remove all non-PET and colour PET containers prior to entering the final washing process. 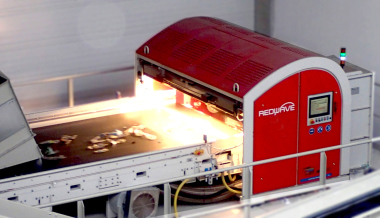 By utilizing our double stage we perform with the first De-Labeller the dry cleaning action able to detach most of the shrink sleeve labels, while the second unit is a wet De-Labeller process to pre-wash the whole bottles and reduce wear effect on grinders blades. This wet bottle washing technology utilizes the filtered recycled flake washing water therefore it does not increase the consumption of fresh water used in the complete cleaning process, and contributes to the elimination of outside dirt as well as remaining labels on the whole bottles”. Critical to the AMUT technology is that the bottles stay intact through these two machines and are not damaged during the actions of De-Labeller therefore improving efficiency and the functionality of the following automatic sorting equipment so that the non-PET and colour PET can be easier removed from the clear PET bottle stream. The clear PET bottles will be washed directly in the AMUT wash flake system. AMUT scope of machinery & technology supplied includes as well, the wet grinding system to turn bottles into flakes, along with two of the AMUT patented Flake Friction Washers, and two of their newest advance technology ‘Sink-Float’ separation machines, which are able to capture the polyolefin caps so that these cleaned caps can also be utilized. The whole process is engineered to increase the grade quality of the clear PET flakes which comply with the most demanding bottle-to-bottle applications, optimizing the value of every bale, while minimizing operational costs, fresh water usage, energy and cleaning agents.